I love landscape photography. To create a really successful landscape image, several elements have to converge: the lighting must have a pleasing quality, objects in the foreground and/or middle ground should be intriguing, leading lines should take the viewer on a journey through the image, and (usually) the sky must be dramatic and compelling. I shoot a lot more mediocre landscapes than great ones, but when all the stars align (sometimes literally, during astrophotography shoots) and all those compositional elements are in place, the results can be amazing. Let’s take a look at some of my favorite landscape images and talk about how they were made. While traveling in Svalbard to view the total solar eclipse of March 2015, my wife and I booked a safari via snowmobile to search for polar bears. We covered 80 miles by snowmobile, much of that after dark. The temperature averaged -5 degrees, with wind chill about 25 below zero Fahrenheit. We rode out to an area now used as a campground, where an early settler and his wife lived a century ago. This was glorious, otherworldly scenery encompassing ice fields, mountains, and the icy Barents Sea. 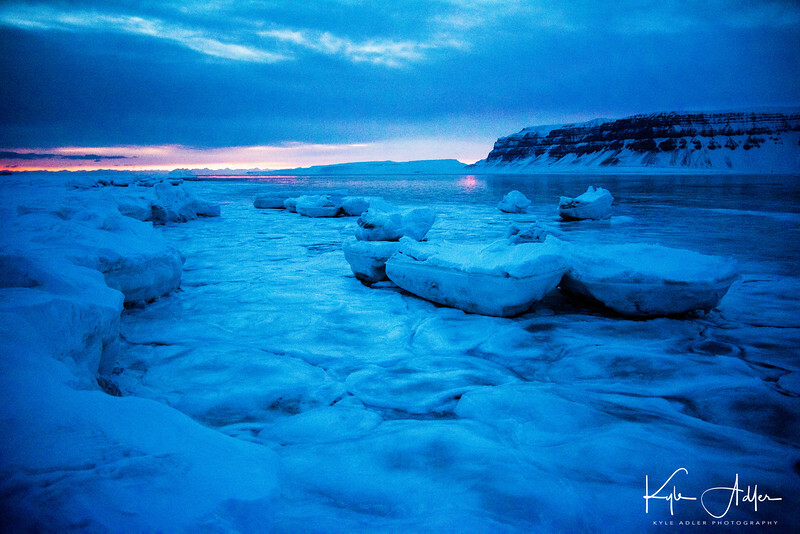 Svalbard is located so far north (closer to the North Pole than to mainland Norway) that the sunsets last for hours, so I set up my gear at the edge of the Barents Sea, composed the frame so that the eye is led out to the horizon by the slabs of ice and the range of mountains, and waited for the best light. A polarizing filter added some drama to the sky. A very long exposure was not necessary because there was no point to trying in blur the frozen water. I shot several frames before the light became too dim and the temperature too bitter to continue. This shot was the keeper! This landscape was shot during a recent trip through Turkey and is a good example of how sometimes we photographers just get lucky. 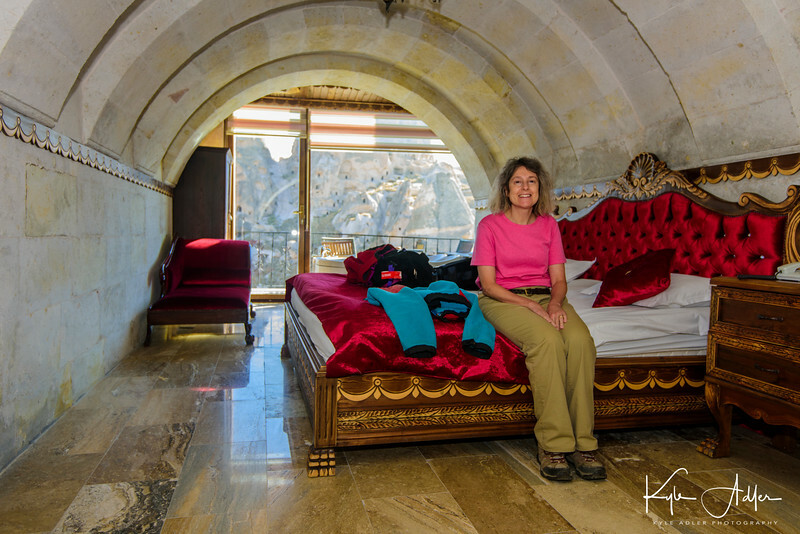 On arriving in the Cappadocian village of Üçhisar, we were thrilled to learn our hotel room was inside an ancient cave dwelling. 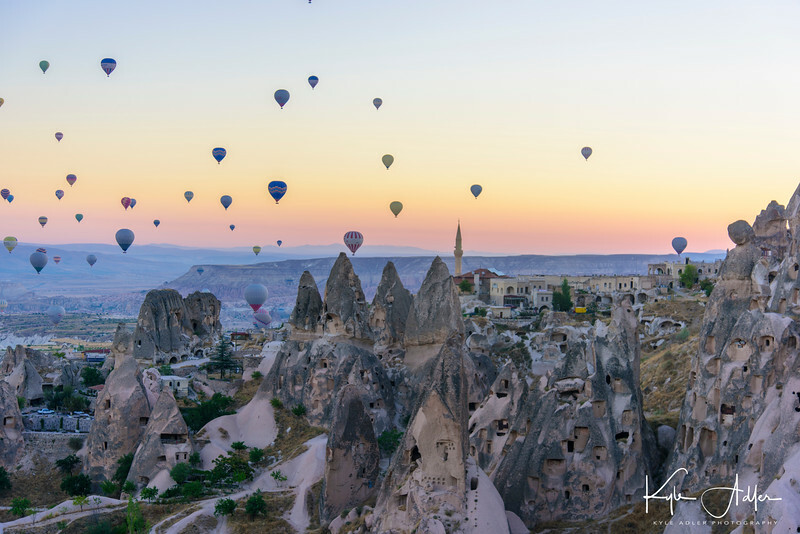 We awoke at 5:30 AM the next morning to the sight out our cave-hotel’s window of hundreds of hot air balloons launching above the “fairy chimneys” that dominate the Cappadocian landscape. I got (mostly) dressed and rushed out onto our balcony, set up the camera on the lightweight travel tripod I carried on the trip, put on a wide-angle zoom lens, and started shooting as the sun rose. I bracketed the exposure but because the light was perfect in this one shot, I did not end up combining multiple exposures into an HDR (high dynamic range) image. Instead, this shot, one of the first of the morning’s session, was the clear choice. 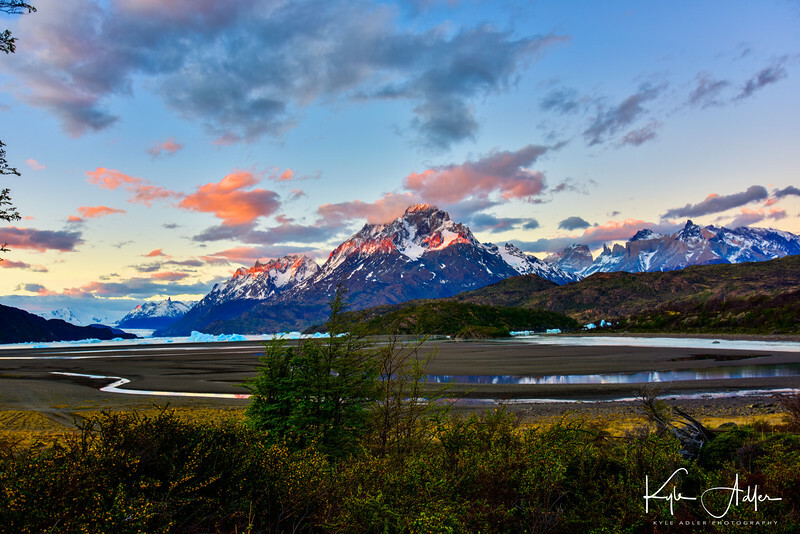 Chile’s Torres del Paine National Park is catnip for landscape photographers. 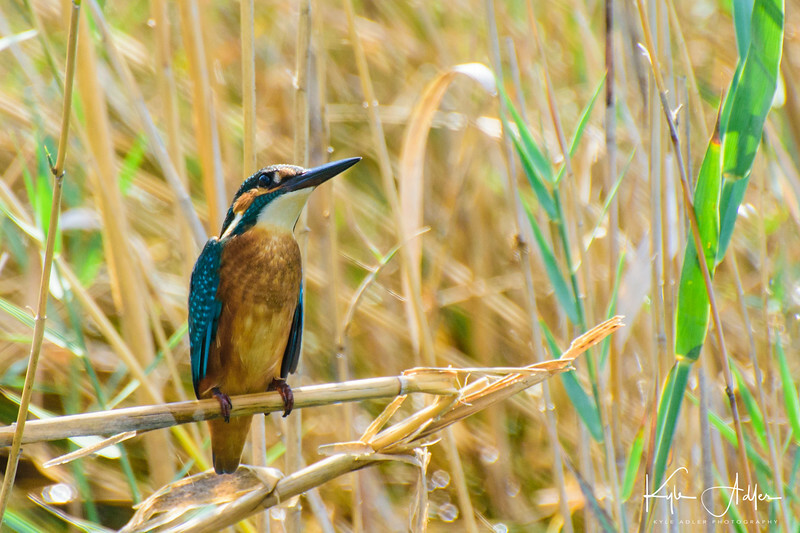 There are so many glorious subjects here that you can go crazy trying to photograph everything. But Patagonian weather is notoriously changeable, and group travel doesn’t always afford photographers the chance to shoot at the right place at the right time of day with the right weather. Fortunately, on our second night at the lodge on Lago Gray, I could see all the conditions were lining up for an epic image. I skipped most of an excellent dinner so that I could set up my gear on the deck: camera with wide-angle lens, polarizing filter, steady tripod, and remote release. I framed the image with a nice balance between sky, mountains, glaciers, lake, and foreground foliage. And I started shooting. I bracketed the exposure with 7-shot bursts, each one stop apart. Later, in postprocessing, I combined a few of the shots from one burst into an HDR (high dynamic range) image using Lightroom’s photomerge feature. Closer to home, Yosemite is another photographer’s dream location. While hiking to Dog Lake in Yosemite’s Tuolumne Meadows area, a freak hailstorm hit. Suddenly the sky was hurling hailstones in biblical style and the formerly placid surface of the lake turned black with the force of the pelting ice. What’s a photographer to do? Start shooting, of course! A tripod was impractical under these conditions, so I used a relatively fast shutter speed and shot handheld. I took a series of bracketed exposures and combined them later using Lightroom into an HDR (high dynamic range) image. For me, this image works because of the tension between the peaceful foreground of tree trunk and reeds, contrasted with the ominous sky and turbulent water. The fallen tree and edge of the grasses provide nice leading lines from the peaceful to the violent portions of the frame. 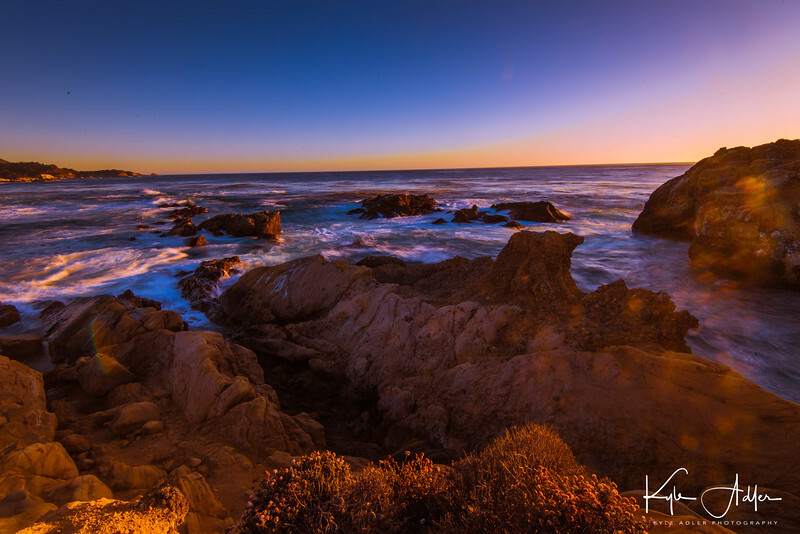 Another California landscape, this image was shot in the gorgeous Point Lobos reserve on California’s Central Coast. As sunset neared, I set up camera and tripod right on the beach, shooting down onto the rocks and Pacific Ocean. I used a neutral density filter to allow a very long exposure so that the water would blur. I also attached a polarizing filter in an attempt to darken the sky and add drama to the image, but having two filters on the wide-angle lens did lead to some vignetting (the blocking of light at the edges of the photo), which I had to crop out in postprocessing. This image was made from a single exposure with only minor adjustments to bring out the shadow details and saturate the colors. This year’s Perseid Meteor Shower was more active than we’ve seen in many years. 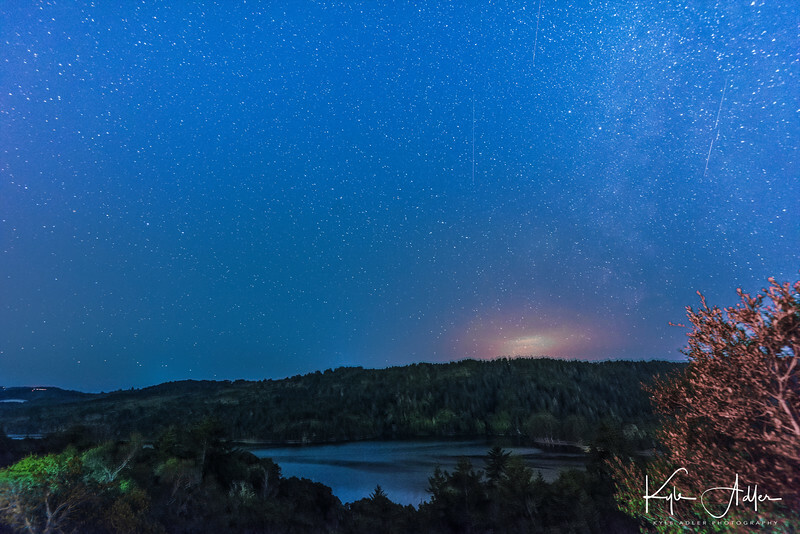 At the peak night of the shower, I headed out to a spot where a break in the trees allows a view over Crystal Springs Reservoir and the Santa Cruz Mountains. We waited until about 2 AM so that the meteor activity was at a peak and the lights of the nearby towns were no longer bright. 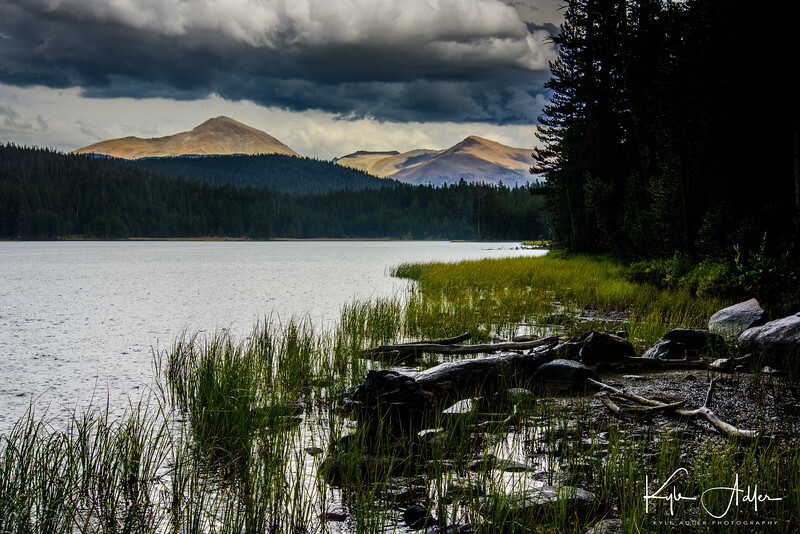 Shooting with a wide-angle lens and a heavy professional tripod, I framed the image to include a pleasing foreground with trees, reservoir, and mountains, with most of the frame covering the dark sky. I used a star finder app to shoot toward the galactic core of the Milky Way. I set the camera to make 25-second exposures at f/4 and ISO 1600. At this focal length, exposures longer than 25 seconds will cause the stars to appear blurry due to the motion of the earth. And then I just kept shooting, one exposure after another, for nearly two hours. Four meteors passed through the part of the sky in my image area during this time, and I combined the images that included them into one merged image using a software application called StarStaX. While I like this image a lot, it could have been improved by finding a darker sky area (the lights from a nearby city caused the orange glow at the top of the mountains) and by bringing out the Milky Way a bit more prominently. Now I know what to do during next year’s Perseid Shower! A good wide-angle zoom lens is a must for landscape photography. 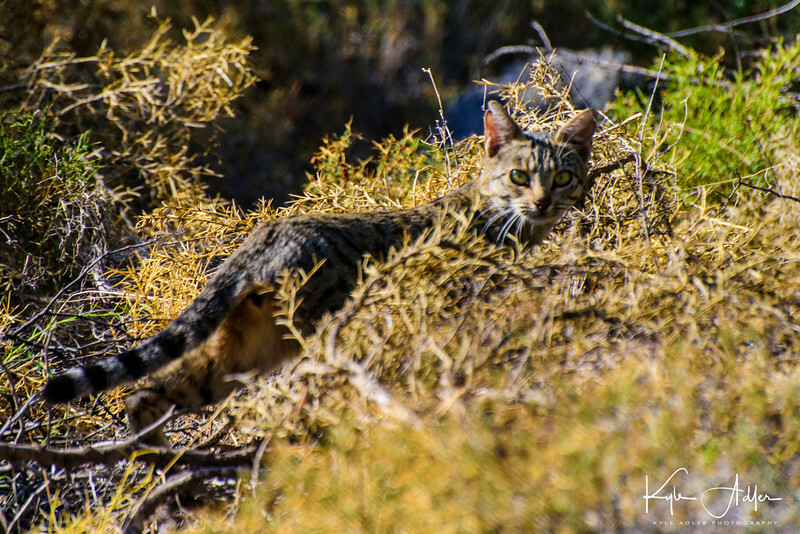 Many of the images featured in this post were shot with my Nikon 16-35mm f/4 lens. It’s got great image quality and is well built, and I find it’s a great alternative (except perhaps for astrophotography where the extra speed is required) to the popular but very expensive Nikon 14-24mm f/2.8. Now I’d love to hear from you! What are your favorite landscape images, and why? To what lengths have you gone to capture landscape photos? Please share your thoughts in the comment box at the end of this post. 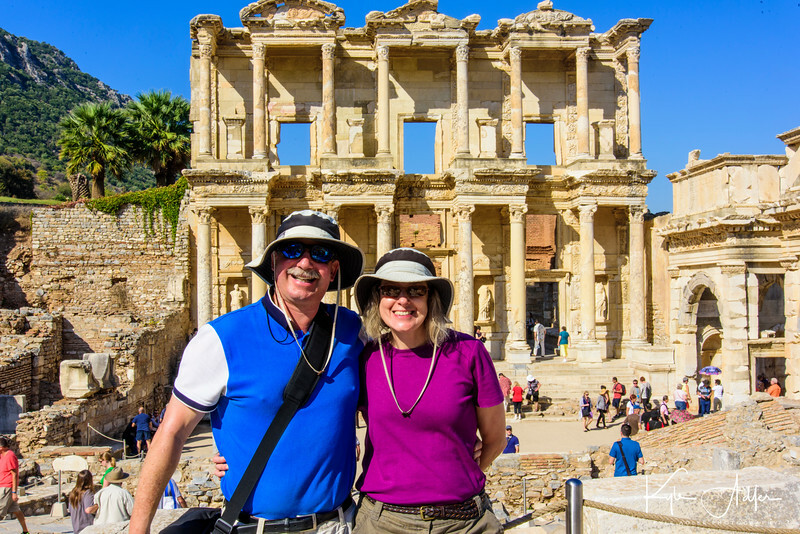 In the fall of 2015, my wife and I traveled throughout Turkey on a 2.5-week journey that included adventures in Istanbul, Cappadocia, the Turquoise Coast, and Ephesus. 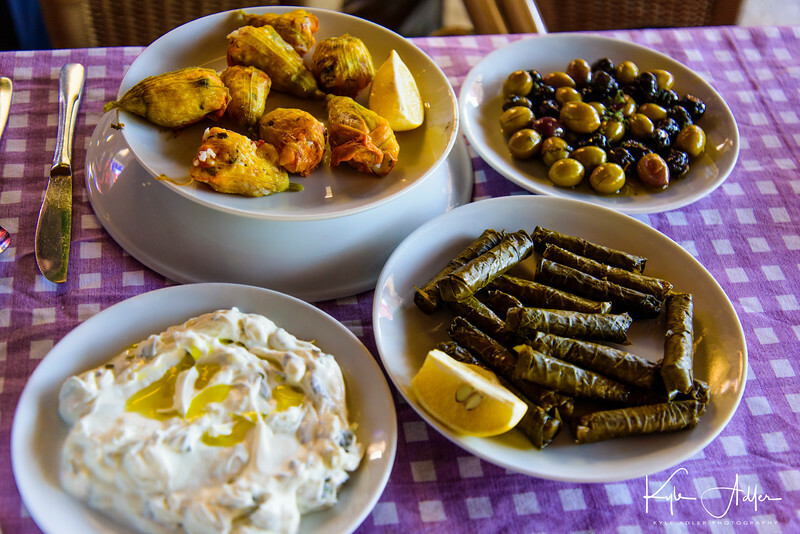 We traveled with Overseas Adventure Travel (OAT) in the company of a local Turkish trip leader, and we had a wonderful, safe experience. In today’s post I share our experiences and some of my favorite images from this spectacular but troubled nation. First, a few words about safety. Even when we traveled in September and October of 2015, there were concerns about the safety of travel in Turkey. 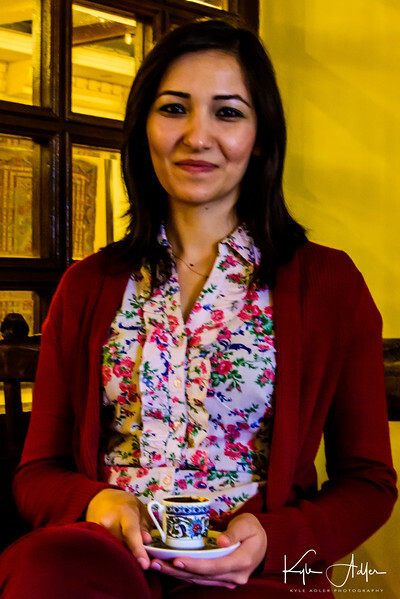 We did not visit the far southeastern regions of Turkey due to the ongoing violence between various factions from ISIS, Kurdish separatist groups, and the Turkish government. There was a bombing with many casualties in Ankara while we were visiting a different part of Turkey. Since our trip, the situation has deteriorated as a result of an escalating crisis in and around the border with Syria, terrorist actions throughout the country, and the broad government crackdown in the wake of the attempted coup earlier this year. OAT, the company we traveled with, has since suspended all of their trips to Turkey. 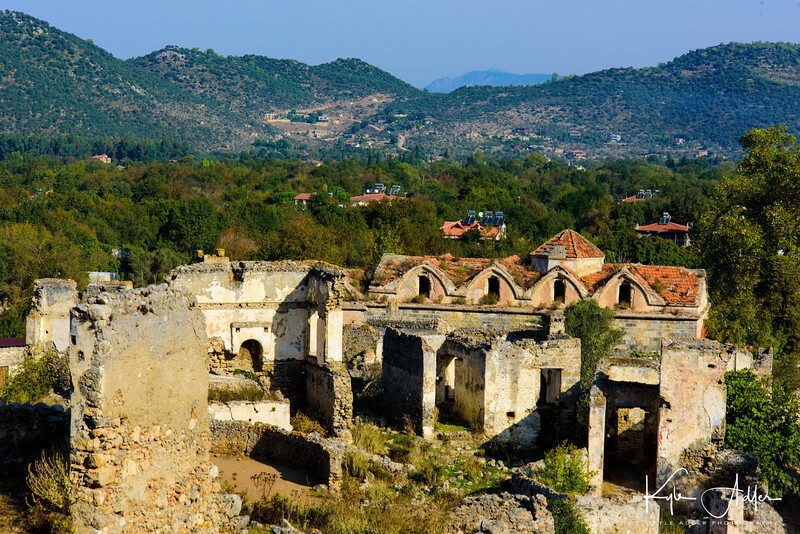 Tourism in Turkey is being devastated by the concerns of safety on the ground. So why would anyone want to go to Turkey? 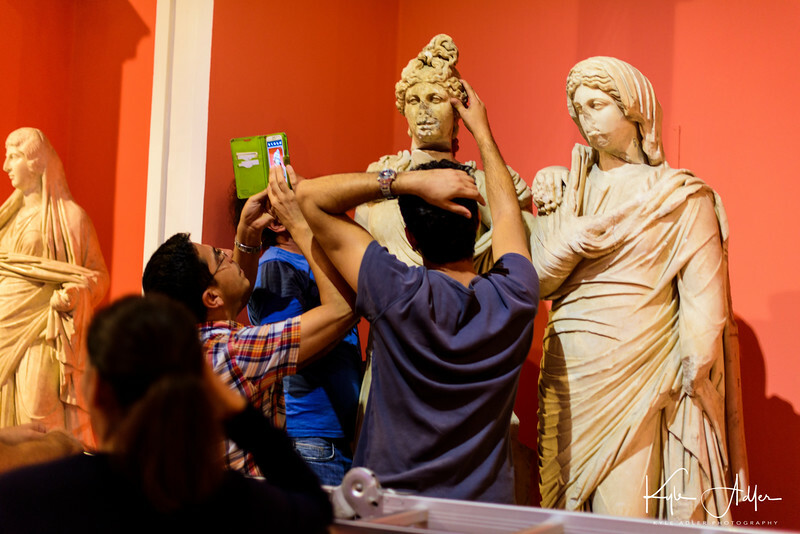 The cultural, historic, and natural appeals of this destination are undeniable. It is a travel photographer’s paradise. And safety is a relative term. I’ve traveled in over 100 countries and many of them were considered “unsafe” when I visited, but my only two close encounters with real terrorism were in supposedly “safe” cities: a bombing in Tokyo and a mass shooting in Los Angeles. I felt safer in Turkey late last year than I do in many other parts of the world. That said, the situation on the ground has deteriorated since I visited, tours to Turkey are becoming hard to find, and only you can decide on your tolerance for risk. 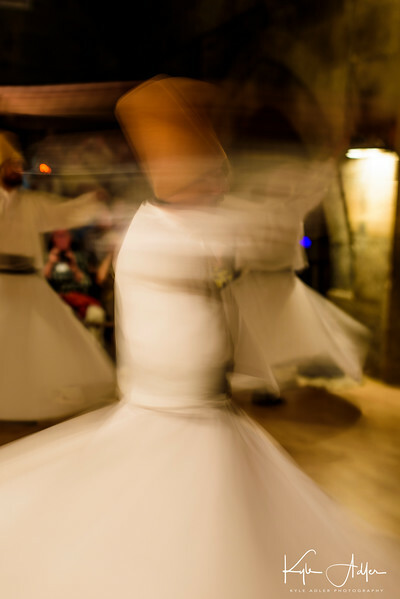 So perhaps wait for more order to return to Turkey before traveling there to make your own images, but in any case you can enjoy my images from this fascinating and gloriously beautiful part of the world. 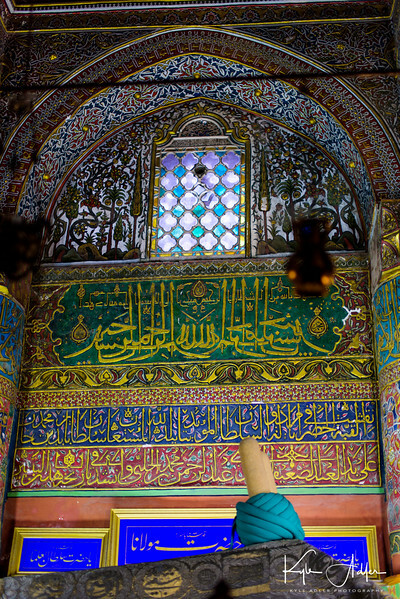 Our adventure began in Istanbul, an ancient city situated at the border between Europe and Asia. 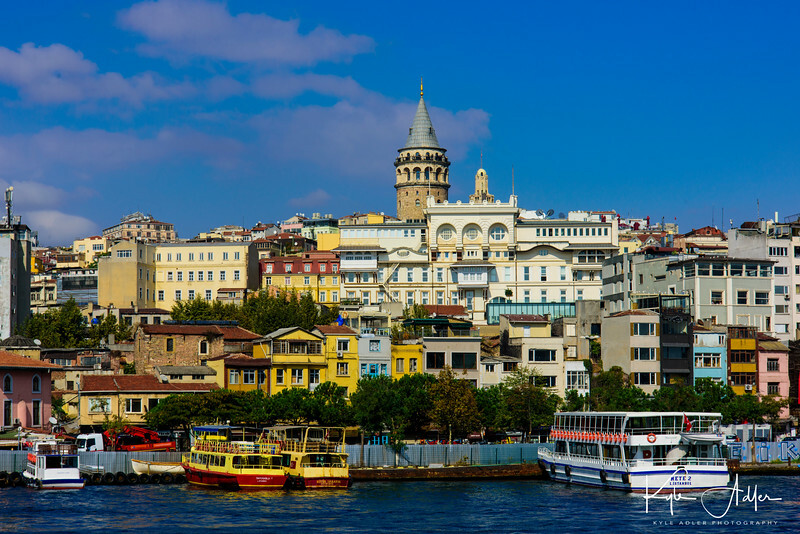 Its place as a crossroads of history from Roman times through the Byzantine Era, the Ottoman Empire, and the modern Turkish republic is apparent as you stroll its winding streets and ply its crowded waterways. The are opportunities to make great images everywhere in the city. 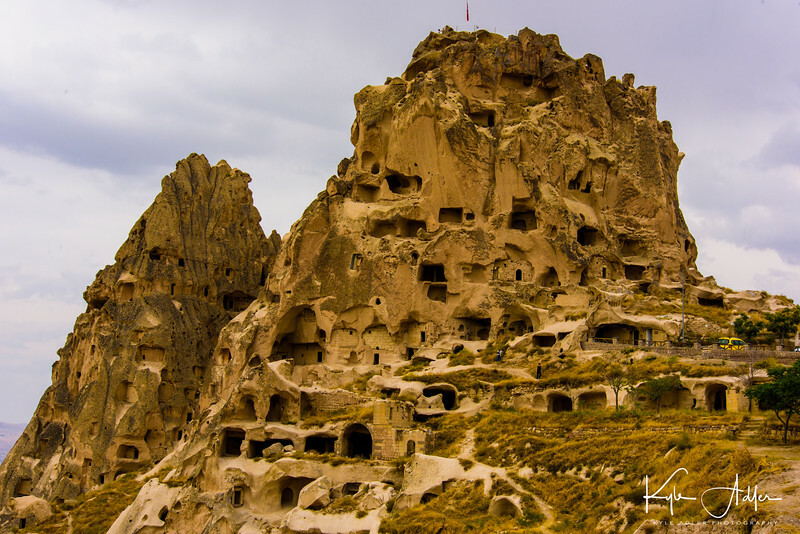 After Istanbul, we traveled to the central region of Cappadocia, famous for its “fairy chimneys,” natural spires formed by the erosion of soft tufa rock. This region is a veritable dream for travel photographers! 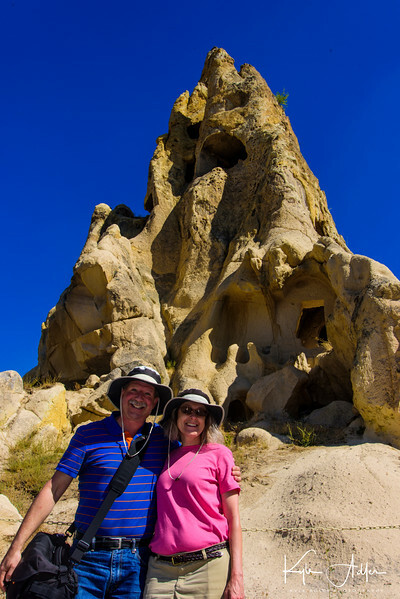 We departed Cappadocia and drove to Antalya, the gateway to the southern Mediterranean region known as the Turquoise Coast. 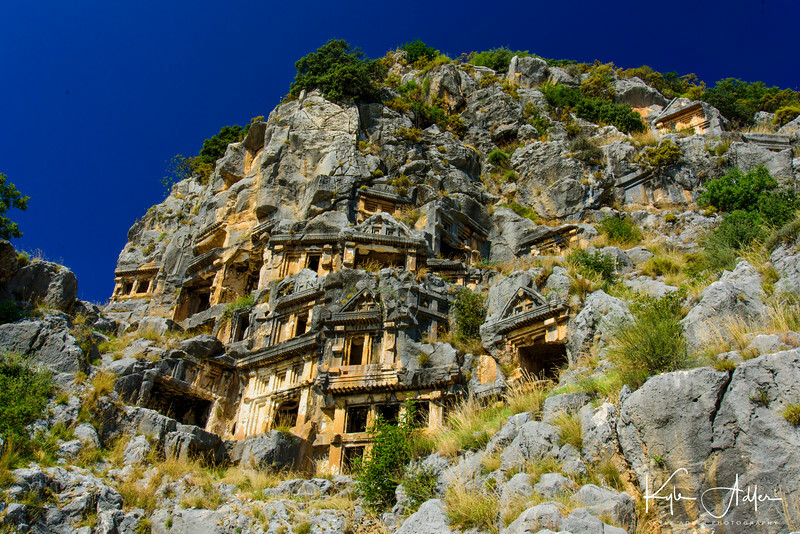 Antalya boasts an ancient Roman harbor and a fascinating archaeological museum. We boarded our gulet, a traditional Turkish wooden sailing yacht, for a four-day cruise along the Turquoise Coast. Each day offered a wonderful photographic tapestry of great images, as we sailed, hiked, swam, and dined. On our last full day in Turkey, we finally got to visit the splendid ruins of Ephesus, a major Roman city in the region. 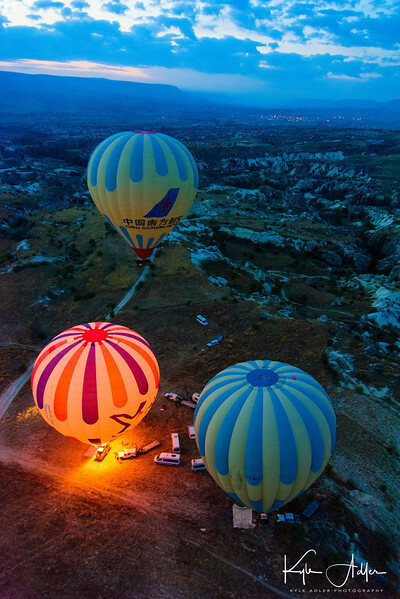 Turkey is a remarkable destination for travel photography. Let us hope its current troubles will soon be a thing of the past and that safe and affordable travel will again be available there. 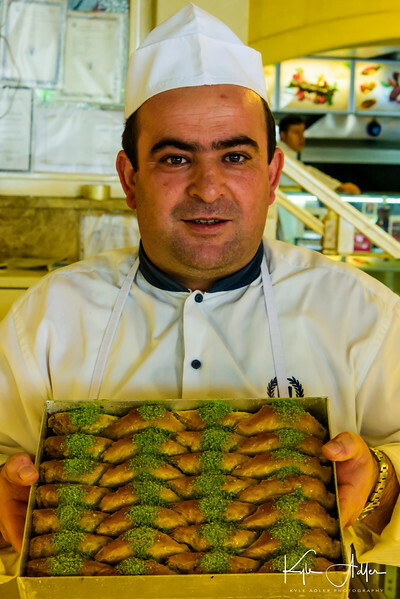 Have you visited Turkey? What were your most memorable experiences there? Please share your thoughts here. 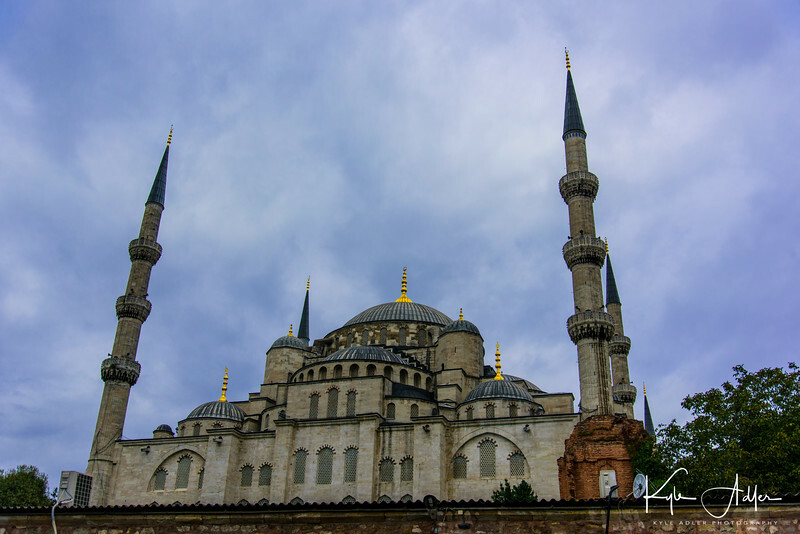 Last year, my wife and I traveled throughout Turkey on a 2.5-week journey that included adventures in Istanbul, Cappadocia, the Turquoise Coast, and Ephesus. We traveled with Overseas Adventure Travel (OAT) in the company of a local Turkish trip leader, and we had a wonderful, safe experience. In today’s post I share our experiences and some of my favorite images from this spectacular but troubled nation.